The high-level committee on railway restructuring under NITI Aayog member Bibek Debroy has said in its report eight of the 16 Rajdhani, Shatabdi and Duronto express trains are incurring operational losses per trip. Despite an overall operating ratio of 91 per cent, Indian Railways might be running many of its premium express trains, including Rajdhani, Shatabdi and Duronto, on losses, which remain hidden in the absence of a train-wise cost-benefit analysis done by the transporter. “Before a decision is taken to introduce a new train or eliminate an existing one, such an exercise should be automatic and mandatory. "It is not impossible to do. However, the present system sees no reason to do it,” Debroy has said in the report, to argue IR does not carry out costing based on commercial principles even where it is possible. The panel has pointed out costing of trains as an example. “One does not quite know how much a specific train costs. In the present costing system, all annual expenses are allocated to different services and one thus arrives at a unit cost for trains. "The revenue figures are easier to determine. However, since one does not know how much a specific train costs, one does not know how much of profits a specific train brings in. This is true of both passenger and freight trains,” it said. The committee, therefore, got the rail ministry to do a tentative per-trip cost analysis for 16 trains, including six Duronto, five Shatabdi and six Rajdhani express trains. 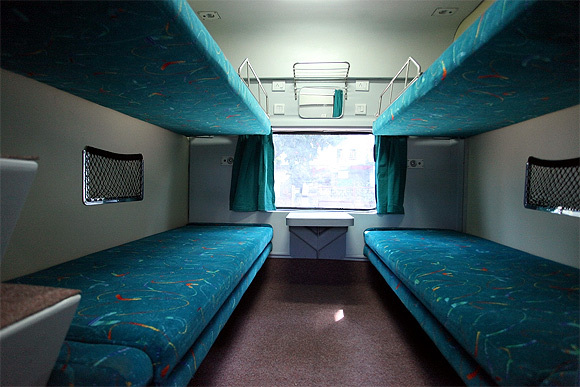 All the five Duronto trains were found to be running at costs higher than revenue generated per trip. The losses ranged between Rs 33,204 and Rs 10,90,480 for individual trains. Also, while two of the six Rajdhani trains were making losses, only one Shatabdi train of the five studied had costs higher than revenue. “This is part of a broader malaise, since the Railways does not follow a commercial accounting system. "Therefore, one does not quite know the accounts for fixed railway infrastructure, passenger traffic, freight traffic, suburban railways and the production and construction units,” the report said. In order to highlight the larger need for reforms, the panel has also highlighted how the Kolkata Metro is running at an operating ratio of a staggering 300 per cent. That means, the Metro system spends Rs 300 for every Rs 100 it earns. The Debroy panel report, submitted to the rail ministry last week, has recommended multiple reform initiatives, including rationalisation of the workforce, setting up an independent regulator and reorganisation of railway services. Image: A view of refurbished Ist AC coupe of Rajdhani Express. Photograph: Kind courtesy, Western Railway. Can Ratan Tata rescue the sinking Railways?